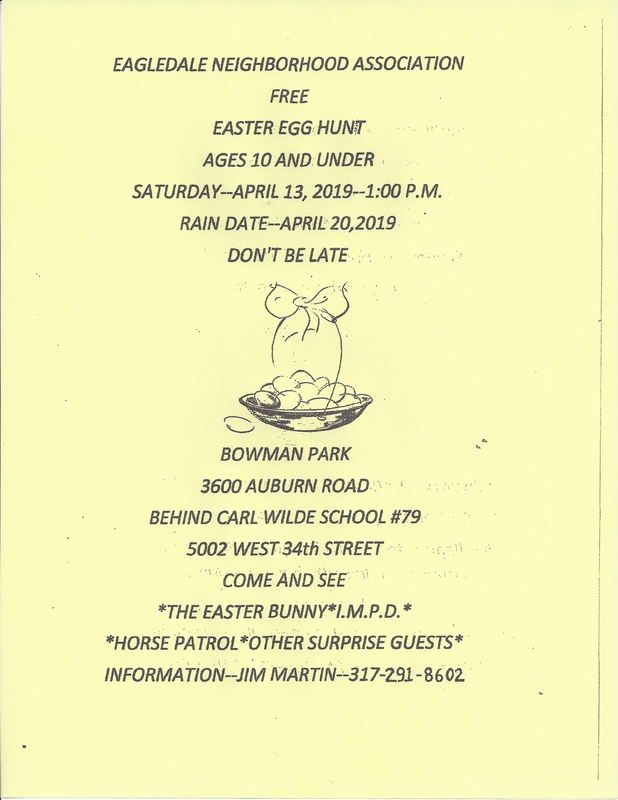 The Easter Bunny is coming early to Bowman Park for an Easter Egg Hunt on Saturday, April 13th, at 1:00 p.m. This annual event is sponsored by the Eagledale Neighborhood Association and is free for children 10 and under. 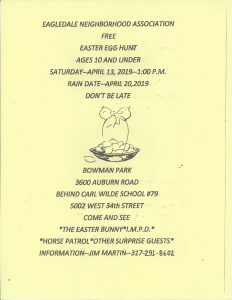 Besides the Easter Bunny, IMPD will be there along with the Horse Patrol. This hunt is always a lot of fun for the children. Bowman Park is located 3600 Auburn Road, behind Carl Wilde School #79, which is 5002 W. 34th Street. See the attached flyer for more information.